Alima Kuku: don't neglect your promises for me! 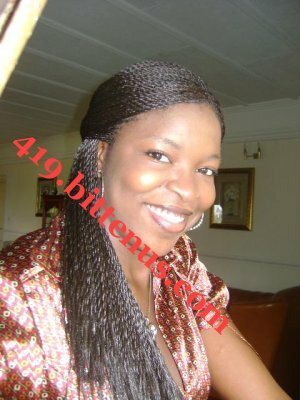 (alima.kuku@yaho o.com) so that i will send my photo to you and tell you more about me. I am more than happy in meeting with you. And also very happy to send you this mail again and thanks for given me your time today. How is your day?. Mine is a bit cold over here in Dakar-Senegal of West Africa. How about your family, altogether with friends and work?. I hope all are okay. My name is Miss Alima Kuku, Alima is my Christian name while Kuku is my Surname. I am 25 years old and hailed from Sierra Leone in West Africa. I am 5.6ft tall, Fair in complexion, single and never married. I enjoys video games, cooking, skipping, walking, singing, swimming, reading, traveling and meeting people with honesty and caring character. However, I am presently residing in the Humanitarian Home here in Dakar, Senegal as a result of the political/religious crisis that have been causing problems in my Country. Above all, My Late Father Dr. Vincent Kuku was a Mechanized Farmer & he was the right owner of Veno Farms & Poultry Ltd in my Country while my Mother was the Managing Director of Sierra Leonean Groups Gold And Diamond Mining Company of Sierra Leone then, before the tragic war which claimed their lives' and now left me as an Orphan. Though, I managed to make my way to a near by Country here in Senegal where i am presently leaving now. I would like to know more about you. Like what you are presently doing and seeing more of your photos. I will want you to know that age is not a problem in a relationship but good understanding. Well, I will tell you more about me in my next mail. Attached here are my pictures!. Kiss your neck! I am more than happy and thanks for your reply to my mail. How was your day over there in my dream country?. With hope that everything is fine with you. Mine is a little bit hot over here in Dakar Senegal in this Humanitarian home. We are mostly allowed to go out only on Mondays and Fridays of the Week. My staying here, It's just like one staying in the prison but i hope by God's grace i will come out here soon. I don't have any relatives now to whom i can go to because all my relatives ran away in the middle of the war but the only person i have now is just Reverend Fr. Isidore Peters who is the Senior Priest here in the (St. Dominic Catholic Church) here in the camp. He has been very nice to me since, i came here but i am not living with him rather i am leaving in the Females' hostel (Block 13 Room 10) because the camp have two hostels one for Male and the other for the Female. The Reverend's Tel. number is (00221 77 461 18 59) please, if you call and tell him that you want to speak with Miss Alima Kuku and he will send for me in the hostel. As a refugee here, i don't have any right or privilege to anything like money or something of that nature because it is against the laws of this country. I want to go back to my studies because i only attended my first year as a law student before the tragic incident that led me into this situation now occurred. Please listen to this, I have my Late Father's Fund deposit certificate and death certificate here with me which i will send to you later because when he was alive he deposited some amount of money in one of the leading Bank in Europe which he used my name as the next of kin and the amount in question is USD$7,400.000.00 (Seven Million Four Hundred Thousand Dollars). So, I will like you to help me to transfer this money to your bank account and from it you can send some money for me to get my traveling documents and air ticket to come over to meet with you. Nevertheless, I kept this secret to people in the camp here but the only person that knows about it now is you because i trust and confide in you that you will be of a great assistance to me. So, In the light of above, i will like you to keep it secret only to yourself and don't relate it to anyone else because i am afraid of loosing either my life and or the money if people gets to know about it. Remember, I am giving you all this information due to the trust i laid in you by your sincerity and dignity. I like honest and understanding people, truthful,men of vision and hard worker and that's you, My Sweetheart thank you very much for the lovey picture that you sent me,you are a very handsome man for me!.